Today I want to focus on acu­punc­ture for degen­er­at­ive eye dis­ease and, spe­cific­ally, for ret­in­it­is pig­mentosa. This is an increas­ingly com­mon con­di­tion lately. We have patients com­ing into our Brisbane acu­punc­ture clin­ic reg­u­larly with ret­in­it­is pig­mentosa – it is not an isol­ated eye con­di­tion. I have stud­ied with world-renowned Dr. Andy Rosenfarb to identi­fy acu­punc­ture meth­ods to effect­ively treat this con­di­tion. One par­tic­u­lar lady (we will call “C”) came to my clin­ic from inter­state – from a south-west­ern sub­urb in Sydney. She was suf­fer­ing from ret­in­it­is pig­mentosa. In this kind of situ­ation we work with an intens­ive acu­punc­ture pro­gram usu­ally over a peri­od of weeks, some­times two. I treat patients for this con­di­tion twice daily, but some­times three times daily, depend­ing on the patient’s con­di­tion and situ­ation. It was a very spe­cial moment when “C” said to me with a smile on her face, “Alan, I was sit­ting down hav­ing a cof­fee at the café this morn­ing, and I saw some­thing move out of the corner of my eye”. For people unfa­mil­i­ar with ret­in­it­is pig­mentosa, you might sub­sti­tute the term “tun­nel vis­ion”. Effectively people with this con­di­tion do not have the capa­city to pick up peri­pher­al vis­ion. So for “C”, it was a monu­ment­al occa­sion to be able to see move­ment out of the corner of her eye. We are able to meas­ure the res­ults as we pro­gress with acu­punc­ture treat­ment of this con­di­tion as we are able to meas­ure the field of vis­ion where patients are reg­u­larly tested by an opto­met­rist or oph­thal­mo­lo­gist. It is very spe­cial to be able to help someone with ret­in­it­is pig­mentosa through acu­punc­ture. This is par­tic­u­larly because this con­di­tion is a degen­er­at­ive eye dis­ease – the patient will increas­ingly become blind without treat­ment. To be able to slow down the pro­cess of degen­er­at­ive eye dis­ease with acu­punc­ture, and in “C’s” case to expand her vis­ion, is a won­der­ful way for me to make my way through life. What a won­der­ful out­come for “C” – that is what I like to see. We are get­ting some really sig­ni­fic­ant res­ults from the use of acu­punc­ture for ret­in­it­is pig­mentosa. I encour­age any­one with this con­di­tion, rather than resign them­selves to their fate of degen­er­a­tion of their eye­sight, to give acu­punc­ture a red-hot go because there is poten­tial to use acu­punc­ture to help most people suf­fer­ing from this degen­er­at­ive eye dis­ease. 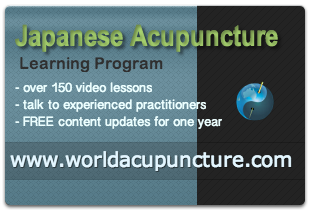 For cur­rent inform­a­tion on our acu­punc­ture ser­vice for degen­er­at­ive eye dis­ease please vis­it Vision Acupuncture.